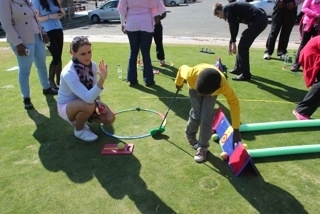 On Tuesday this week the coaches from the Martin Whitcher Golf Schools were privileged to be a part of the Els for Autism Game on Clinic held in conjunction with the Els for Autism Golf day hosted at Randpark Club. 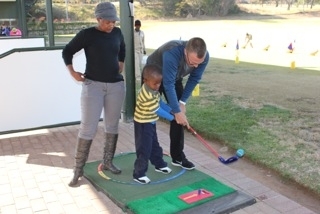 Thirteen children, some from the Ernie Els Centre for Autism in Braamfontein and others from a privately run school that the centre has taken under its wing, spent two and a half hours at the driving range being introduced to the game of golf. At our meeting with Shani Lits, Director of the centre, we were given a fairly extensive list of does and don’ts and we came away feeling quite nervous. This was something new to us and we didn’t know what to expect. The clinic started off with some stretches and a light warm up. 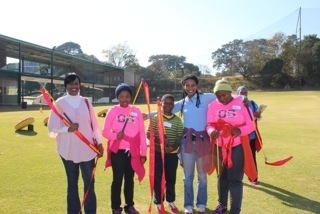 After that the children were divided into groups and each coach was allocated a group. 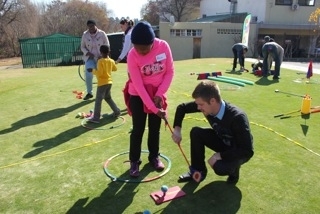 We had 4 activity stations – putting, chipping, pitching and full swing. 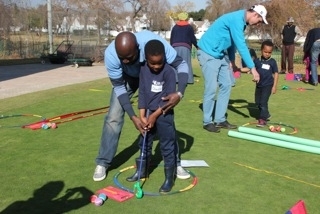 Some of the activities included throwing or rolling the ball and each and every child participated with great enthusiasm and excitement. 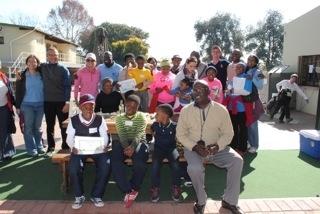 At the end of the clinic each child was awarded a certificate which they proudly showed off. What we experienced was truly life changing! 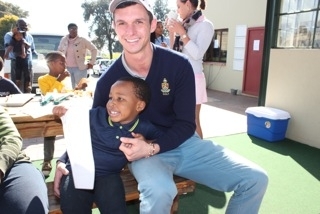 The dedication and involvement displayed by the parents and the staff was a lesson for us all and we were left questioning our priorities and being thankful for our blessings.